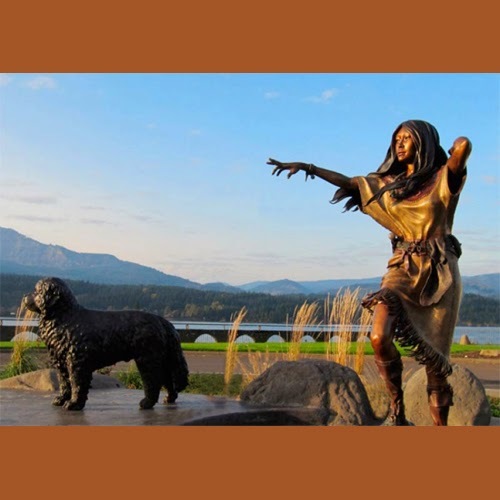 You may recognize Heather Söderberg’s work, the Cascade Locks Marine Park features two of her bronze sculptures of Sacagawea and Seaman, from Lewis and Clark history. Söderberg’s Studio is located in Cascade Locks along the Columbia River Gorge in Oregon. Read about this bronze artist below. The artist is fundamentally alone in the creative process, whether he/she is supported and encouraged by other artists and lovers of art, or is solitary. The inner drama, the complex ebb and flow of feelings, hints and glimpses of images and ideas, the inner drive, urges, promptings and doubts — the often fierce, undeniable, gut-deep need to create — are those of individual artists alone, that they must somehow deal with through visions of the beauty and torment of the world.